Bags of racing to catch up on from the last 2 weeks so starting here with some amazing performances in Denmark and more locally! Finishers first and age group podiums all round with Derek 3rd in his age group in the Weymouth classic which he was racing as a training race and Eric in the same age group was 4th in his first olympic distance event. In the sprint, a great race from Samuel in an excellent youth field finishing 5th behind the overall race winner and he’s the youngest in the age group. And a very impressive race from Tania finishing 3rd in her age group after an excellent swim and bike. 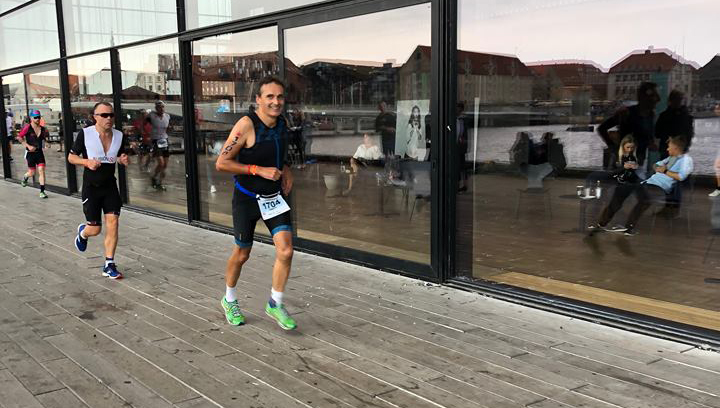 Meanwhile a few hundred miles away…….. Laura Julier and Simon Carvisiglia both targeted Ironman Copenhagen as their A race for this season and headed out to Denmark in the middle of August. 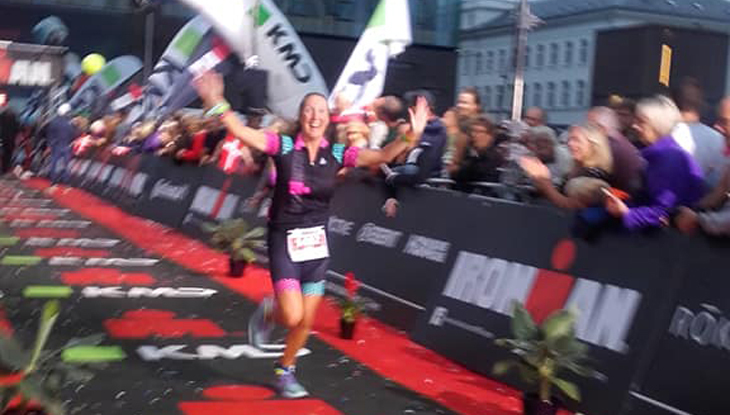 In Laura’s case, this was her first ironman distance triathlon but she has been training brilliantly. Having taken on Ironman Wales a couple of years ago Simon was looking to try his hand at a slightly less hilly event with a view to breaking the 12 hour barrier. Race prep went well and both arrived at the start line in good shape – all be it rather nervous! Entering the 2 lap swim at roughly the same time both swam brilliantly and at very similar speeds completing the 3.8k in 1hr20mins. This is particularly impressive from Laura as she isn’t too keen on salt water and only started swimming longer distances in the sea earlier this year – a really consistent pace on the swim set the tone for the rest of the day. Laura was first out of T1 with Simon taking a little longer although nothing like his world record transition split from Wales . It became very evident watching the tracker that both were nailing the bike course hitting excellent consistent average speeds. In fact Laura’s bike split was about the most consistently paced split I’ve ever seen – she averaged 27.27km/hr for 2 of the larger sections of the bike exactly matching her eventual overall average pace – uncanny! Simon was first in to T2 after a shade over 6hrs on the bike and headed out on the run. Laura followed him in after a 6.34 bike and was also safely out on the run. All was going well for Simon who was running brilliantly and well on track for a sub 12 hour finish until kilometer 25 on the run where a bit of fuelling trouble meant that he started to feel light headed – so a bit of run walk was required before he was able to pick it up again for the last few kms to finish in an excellent 12hr10mins – a great race! 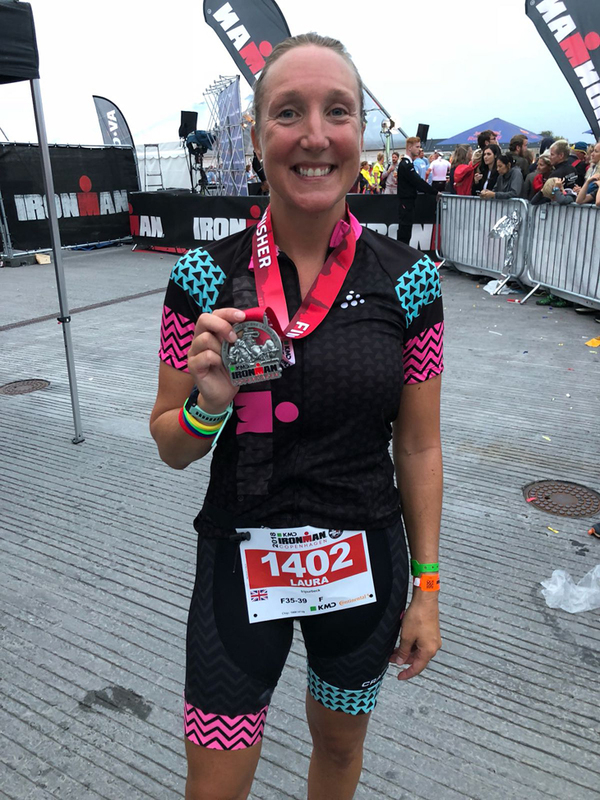 Meanwhile, and despite some knee twinges (and injury which at one point threatened to derail her ironman plans entirely), Laura was producing an awesome run – again consistent pace all the way through and judging from the photos run almost entirely with a big smile! At no point during Laura’s race prep did we ever discuss a finishing time – only focusing on the process of executing the race – so to come home and hear the immortal ‘Laura Julier you are an Ironman’ in 12hr32min is a massive achievement made all the more impressive by the fact that Laura executed the race to perfection at the first attempt. So a well deserved rest for Simon and Laura now and time to enjoy the achievement.